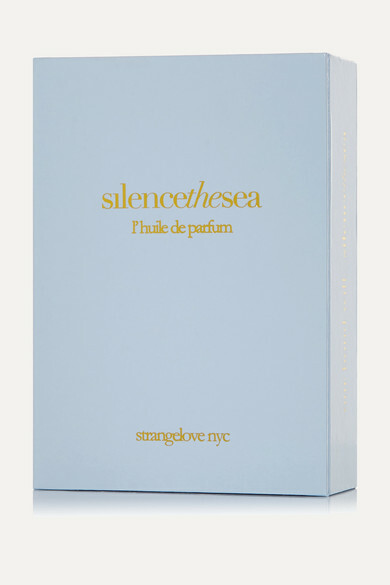 strangelove nyc's necklace uses your natural body heat to enhance the invigorating scent of the label's 'silencethesea' perfume - it also makes for a really convenient way to reapply when on-the-go. The aromatic scent opens with notes of Asian Lime before softly blending into a bouquet of Natural Narcissus, Tuberose and Jasmine and rounding off to a base of sweet Ambergris and woody Oud. The gold-plated chain and custom floral-embossed cap add a luxurious touch.